Island Sotheby's International Realty is proud to present Wailele Ridge - West Maui's newest project and one of the strongest value propositions island-wide. 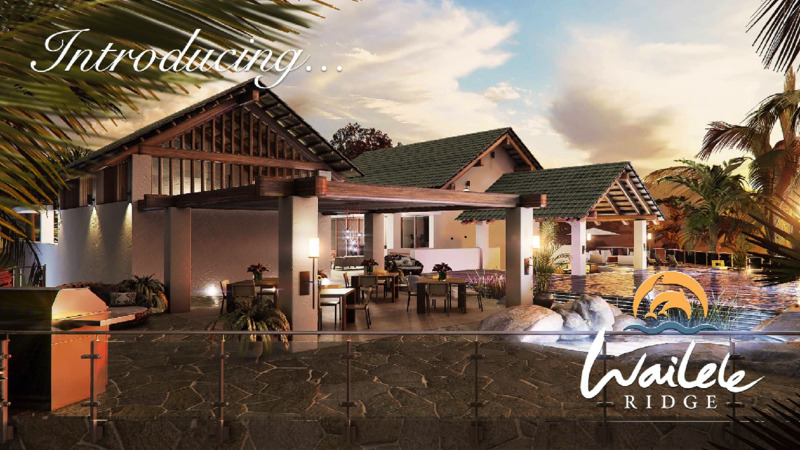 Atop 10 acres of the most valuable Napili Real Estate, Wailele Ridge will consist of 158 units ranging from 1 bedroom, 2 bedrooms, and 3 bedrooms. View corridors will vary depending on location within the property, with some units featuring commanding 180 degree panoramic ocean views. Residents and their guests will enjoy exclusive use to the Infinity pool with Jacuzzi, workout facility, and dedicated barbecue area. Wood Construction with Hardy panel siding. 9 Foot Ceilings (all units). Size ranges from approx. 550 square feet to approx. 1,600 square feet. 3 Interior Design Packages available. Pets Allowed - Two pets per unit allowed, up to 35 lbs. total. Wailele Ridge is proudly presented by Island Sotheby's International Realty, with Karla Aguera as the project Sales Manager.